With the Southern Hemisphere winter looming, temperatures are beginning to drop and it’s time to prepare for the cooler weather to come. 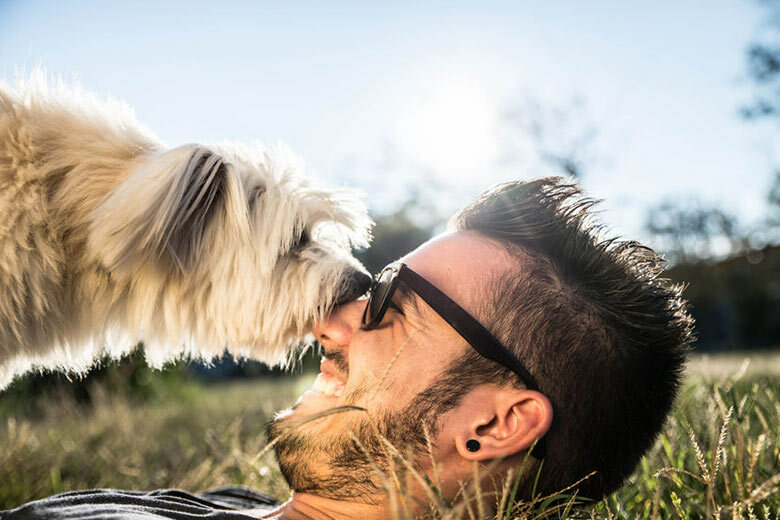 While some parts of our land enjoy mild weather all year round, in many places winter temperatures can get down to a uncomfortable level for our furry friends. And being out in the rain can certainly cause our poor pooches to shiver! We have put together a selection of must-have accessories to make autumn and winter a breeze for you and your dog. 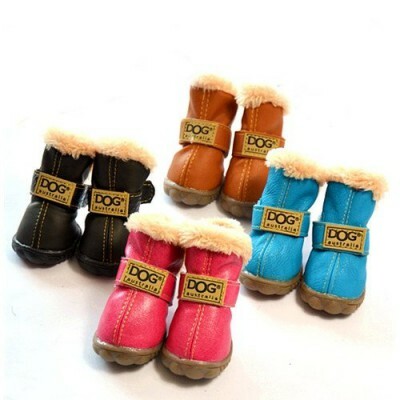 Probably the cutest thing since the invention of baby Ugg boots, are these winter Dog Boots for your pup! Let your dog enjoy the warmth and comfort of Ugg Boots. These skid-proof boots come in 4 awesome colours (incl rose pink!) and 5 different sizes. We couldn’t find a supplier in Australia, but Amazon will ship them directly to your door, anywhere in the world. 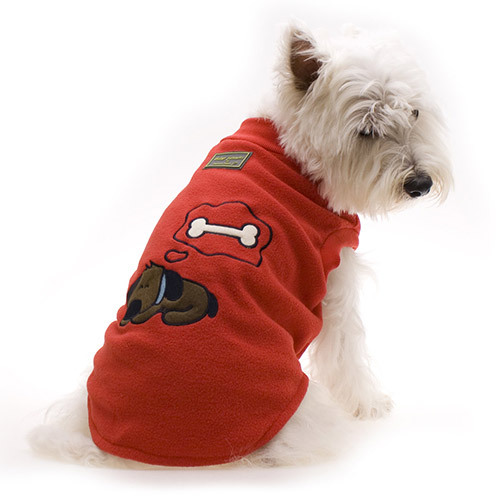 Send your dog to bed warm – and stylish with these super cute dog pyjamas from Hamish & download McBeth. They come in various colours, prints and sizes. They are made of fleece to keep to your furry friend warm and provide a great fit because they are just a one piece pull-on with no Velcro, no fasteners, no buttons – too easy. Machine washable of course and too cute to just be worn in the dark. The Australian company Didgeridoonas is famous for their durable oilskin fabric products that are designed to last a lifetime. But their products are not just made for humans to enjoy. 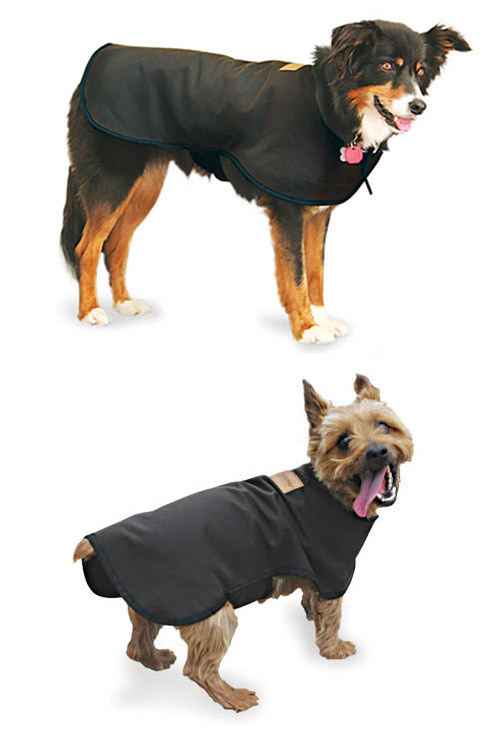 Keep your furry friend warm and dry with the Didgeridoonas Oilskin coat that is fully lined with wool blanketing. The coats are adjustable around your dog’s neck and body, fully washable and can be re-proofed if they lose their water-repellency. Comes in brown and several sizes, other colours are also available if you purchase more. Do you live in a warmer climate but still want your pup to enjoy the water-repellency of oilskin? Then the Oilskin Doggie Raincoat could be perfect for you. Lined in pure cotton, this jacket is designed as a summer raincoat. Comes in brown and several sizes, other colours are also available if you purchase more. Huskimo is a young Australian company that designs products for the outdoor dog. 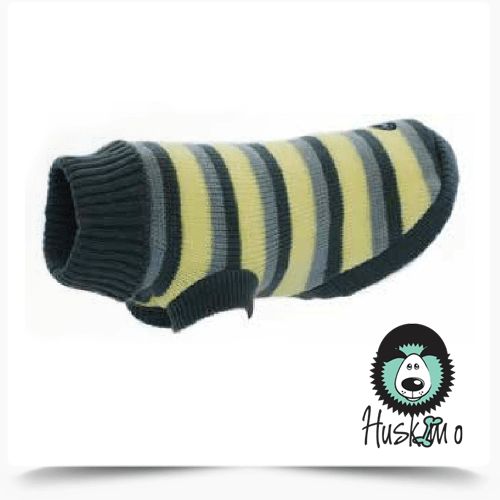 The Huskimo knit dog jumper is made of stretchy material and gives the perfect extra layer of warmth on chilly winter days. Keep the collar of the turtle neck unfolded to keep your dog even warmer. Designed to be pulled over, the open back makes it easy to get on and off. Comes in different colours, patterns and sizes. 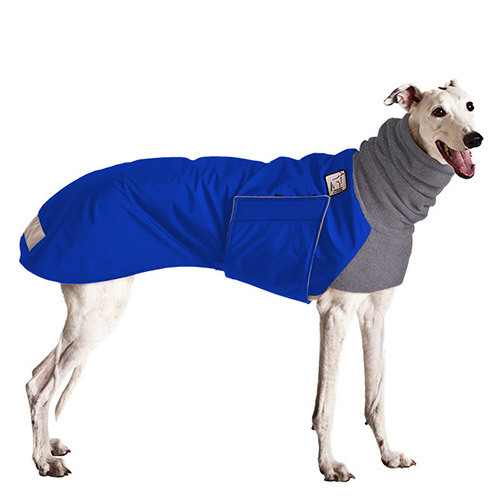 If you own a dachshund, a greyhound, a pug, a miniature pinscher or you just find it challenging to find a suitable coat for your dog’s size and shape, VoyagersK9Apparel can help. They are based in the USA and sell their products via global craft shopping website Etsy and their own website, so ordering and delivery is fast and easy. It doesn’t matter if you are looking for a warm winter coat, an underbelly warmer, a hood or the pawfect rain jacket – this company has it all, for every dog. Winter time = cold and flu time. That’s not just applicable for humans – your furry friend is also more susceptible when the weather gets cold and rainy. 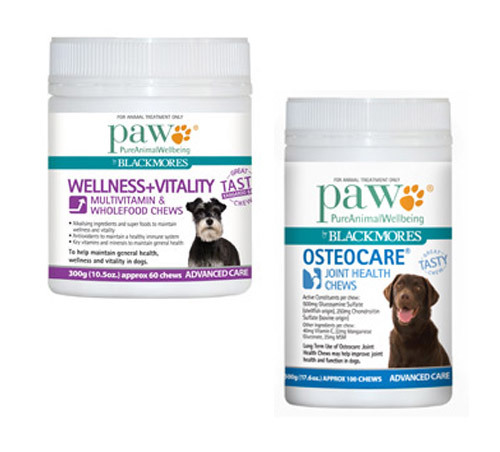 To help your dog stay healthy throughout the winter, multivitamins such as PAW Wellness & Vitality Multivitamin Chews can help to boost its immune system. PAW Osteocare® Joint Health Chews are very popular to help dogs with arthritis and joint problems get through the winter. Start using them now as they may take 4 – 6 weeks to achieve best performance and greatest effect. With days becoming shorter in winter, many of your dog’s walks and outings may be in the dark. 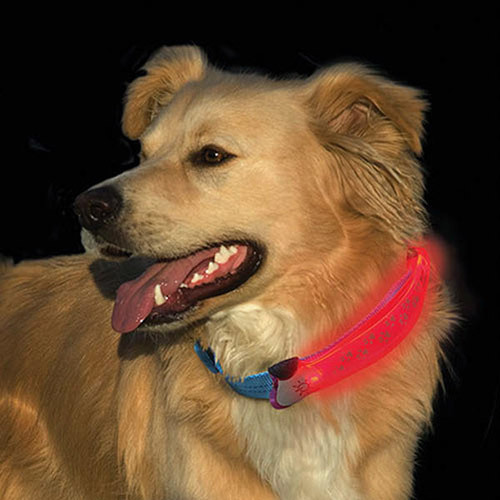 Products from Flashdog will you ensure your furry friend remains seen even in the dark. With LED light up collars and LED covers for your dogs collar, your dog will be visible even from far away. The collars are water resistant to withstand the rain and come with batteries that can be replaced. The collars come in different styles and sizes to make the tiniest to the biggest dog clearly visible at night. 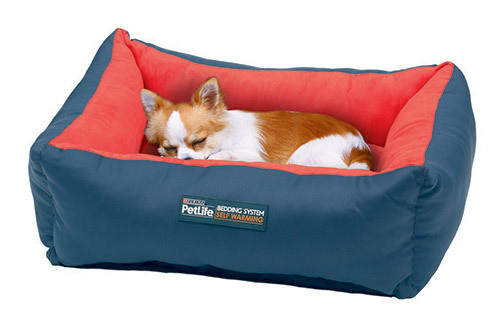 Do you have an outside dog but worry about him getting cold on winter nights? Then why don’t you consider this portable heater for your dog’s kennel? 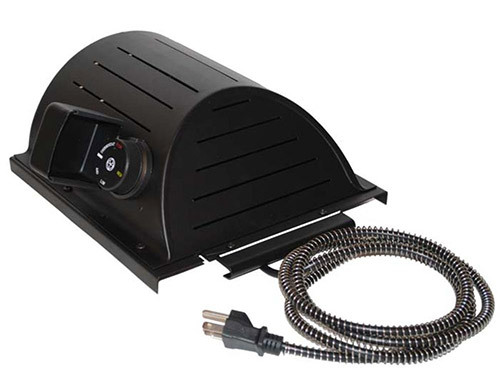 To save energy, the pet house heater only runs when it is needed and the internal heat shield allows your pet to touch the lower half without any danger of getting burned. For added safety a metal cord cover has been added for protection from chewing. Do you want to keep your furry friend warm without the inconvenience of electric heated mats and pads? Then this bed is for you (and your woofer). The bed is made of thermo reflective fibre that traps and reflects your dog’s body heat back to them. Compared to an electric mat, it needs more time to heat up and is great for indoor dogs where cold floors could impair the use of a summer bed. We used it indoors for an older Chihuahua with arthritis and she just loved it! With many wet days to come in autumn and winter, walking your dog with the Dogbrella will make getting out in the rain a breeze – not a shower – for your pampered pooch! 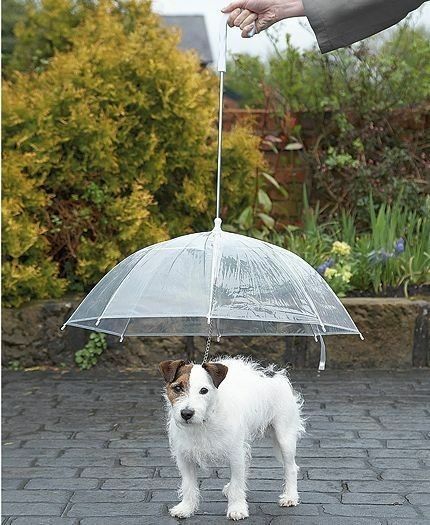 Being a combination of an umbrella for your dog with a dog leash attached, this is the pawfect wet weather accessory for the pampered pooch that doesn’t like the rain.